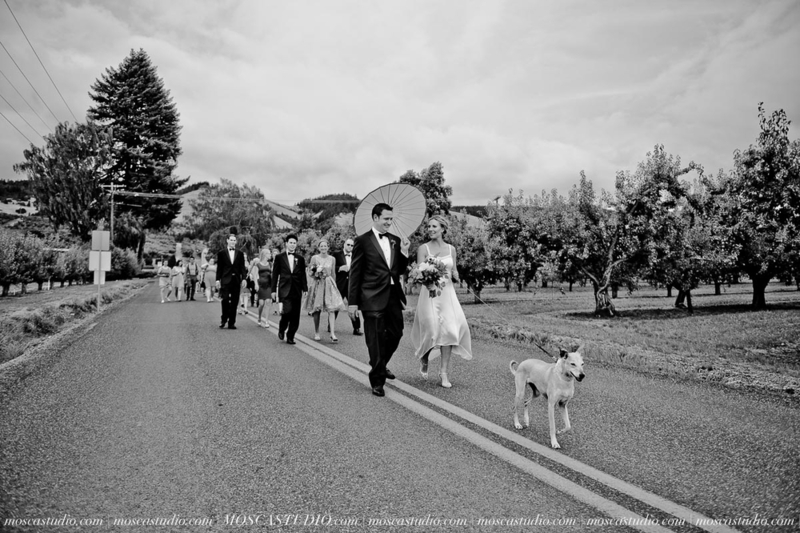 Rachel and Nick's hood river wedding was so unique and fun. 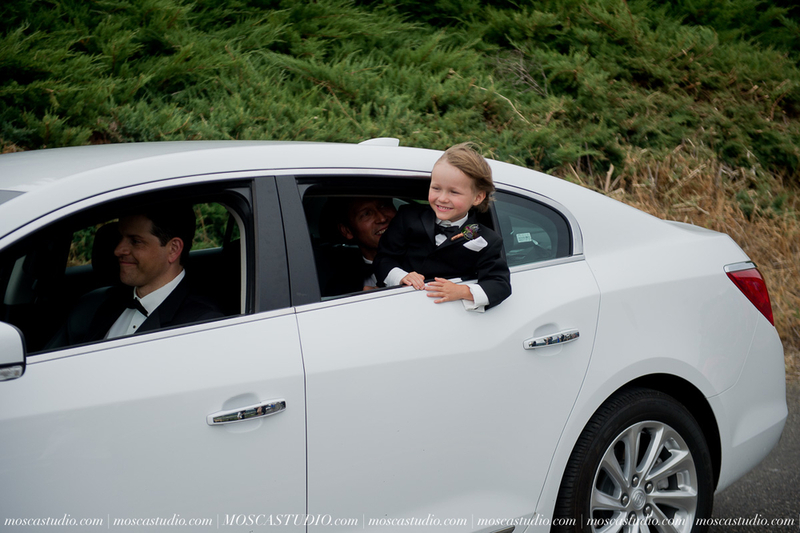 Guests were surprised with a train ride on the Mt. 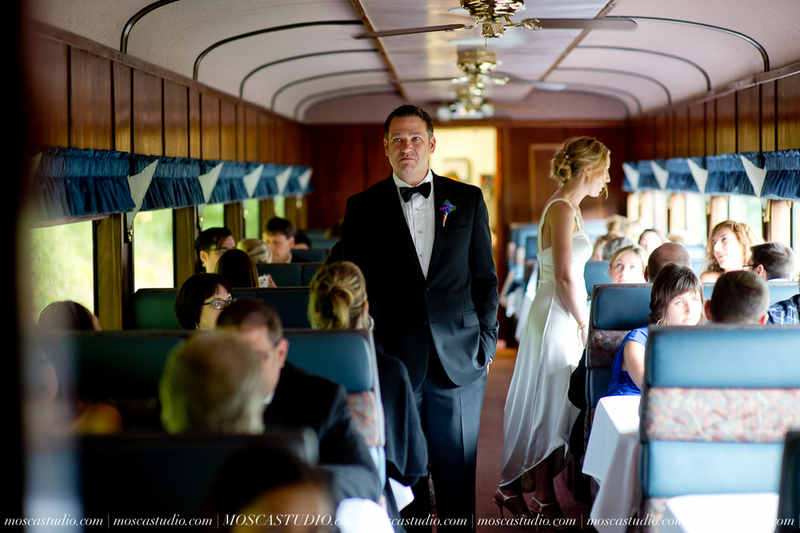 Hood Railroad upon arrival to a tiny chapel, Pine Grove Church, nestled next to acres of gorgeous Northwest vineyards. 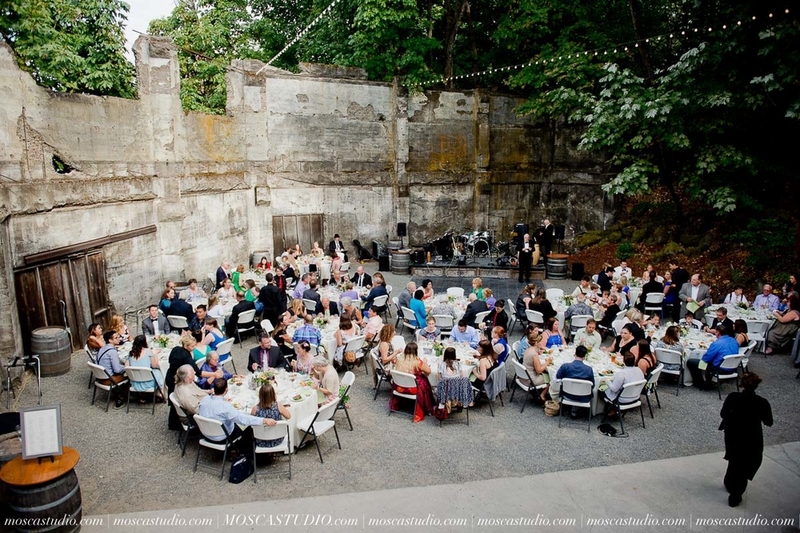 The reception was held in the beautiful ruins at Springhouse Cellars. 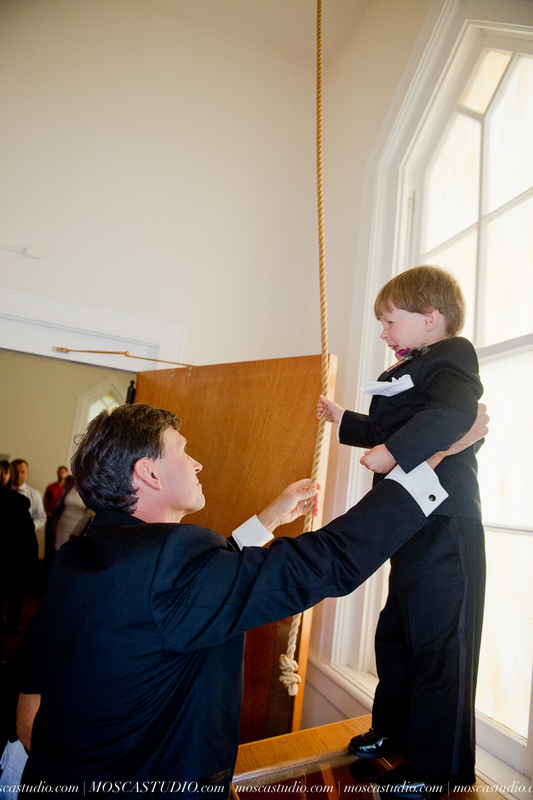 The groom changed from his black tuxedo jacket for the ceremony into a classic white number. 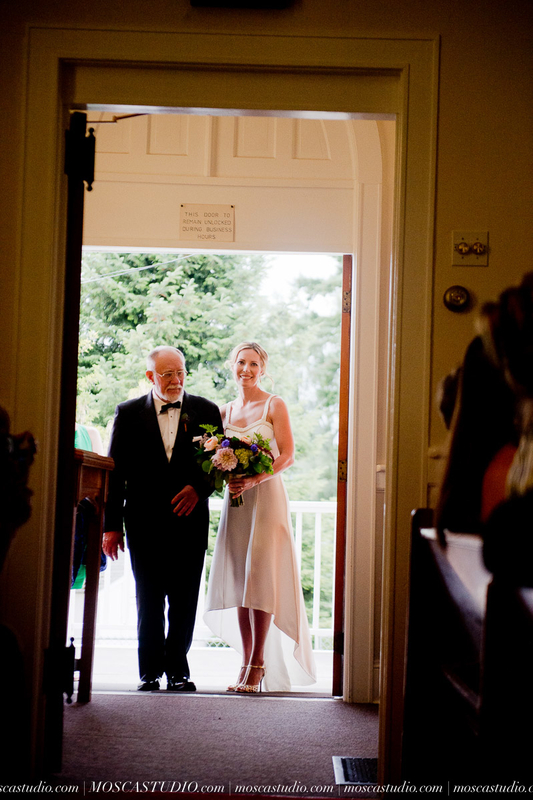 Paired with the bride's red lips, the couple was silver screen stylish. Dinner was deliciously and perfectly presented by Devil's Food Catering, a summer feast of shrimp skewers, corn pizzettas, and local perfectly cooked steak and salmon. The cake, by Windflower Cakes, was incredibly fluffy and flavored with blueberries, lemon curd and crème fraîche. The couple danced a perfectly choreographed routine to "Nothing Else Matters” by Metallica. 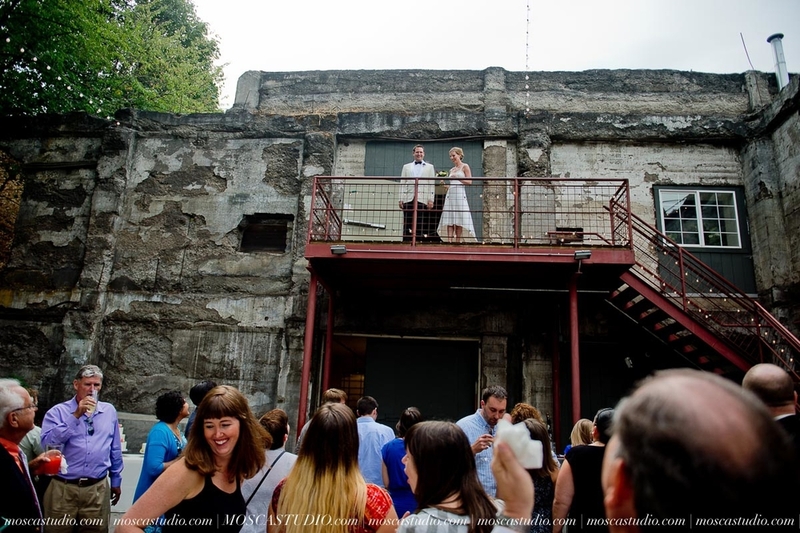 The dance floor opened up with “Let's Get It On by Marvin Gaye,” and the guests rushed onto the dance floor, where they stayed the rest of the evening.